The core competence of mütek is the planning and assembly of extraction and filter systems from 1,850 to 60,000 qbm of air per hour. 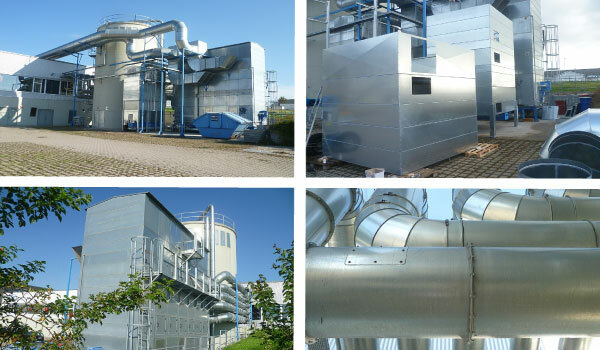 Depending on the customer's requirements, both tested mobile dust extractors for the interior installation of extraction diameters from 160 to 350 mm as well as large suction and filter systems for outdoor installation are included in our product portfolio. 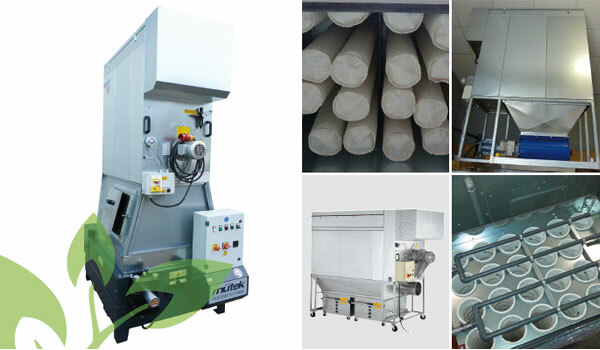 In addition to extraction and filtration systems for woodworking companies, dedusting plants are also increasingly being built and supplied for a wide variety of requirements. with a maximum volume flow of appr. 1,850 - 10,000 qbm/h, for indoor installation approved, with automatic compressed air filter dedusting. with a maximum volume flow of appr. 10,000 - 60,000 qbm/h, for outdoor Installation. The filter systems are designed according to BGI 739-2.